National Presto Industries has been making Presto Pressure Canners for over half a century. Presto Pressure Canners are made of high quality aluminum. Preserve meats, vegetables, and fruits with confidence! 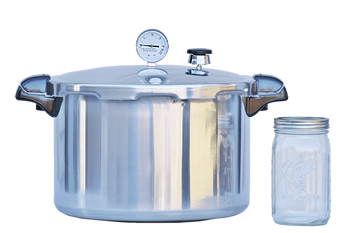 Pressure canning is the only method recommended safe by the U.S.D.A. 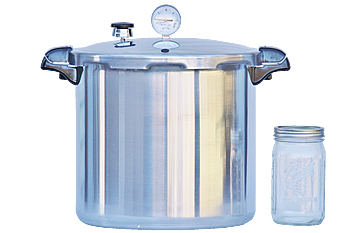 for canning low-acid foods. Three essential items at one low price. Available in 16 & 23 Quart sizes.